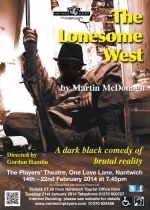 THE LONESOME WEST by Martin McDonagh. Valene and Coleman, two brothers living with no female company in their father's Connemara house after his recent death, have massive and violent disputes over the most mundane and innocent of topics. Father Welsh is prepared to try anything to reconcile the two before their petty squabblings spiral into vicious and bloody carnage, but is soon driven to drink or worse. The Lonesome West is a rollicking script of swaggering and satirical language, taking no prisoners in its exploration of land, celibate priesthood, sexual repression and local backgrounds from this renowned playwright. A dark comedy of brutal hilarity. Think Steptoe and Son meets Father Ted! Directed by Gordon Hamlin, performances will be at 7.45pm, 14 - 22 February 2014. 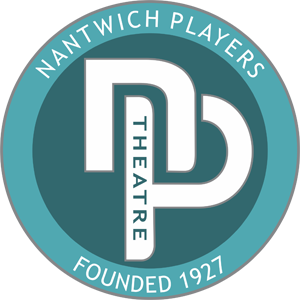 Tickets on sale Tuesday 21st January, 2014 at Nantwich Civic Hall (01270 600727).